Documentation being updating. Keep watching. Flickr Album Gallery Pro is an awesome gallery plugin to display your Flickr Albums on your WordPress blog. Now, we are explaining about Flickr Album Gallery Pro plugin installation, configuration and publishing. Follow the step by step guides. 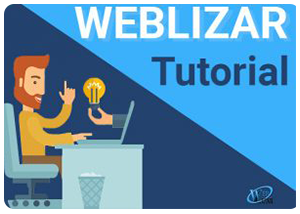 First login and download your plugin zip package from your Weblizar Account. 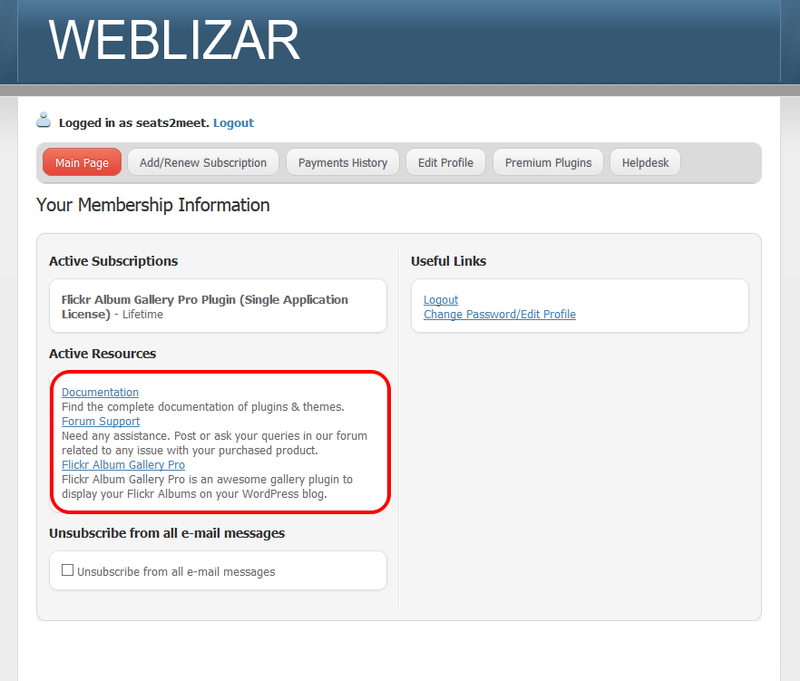 And upload the plugin zip package on your site using admin dashboard OR FTP tool Filezilla client. 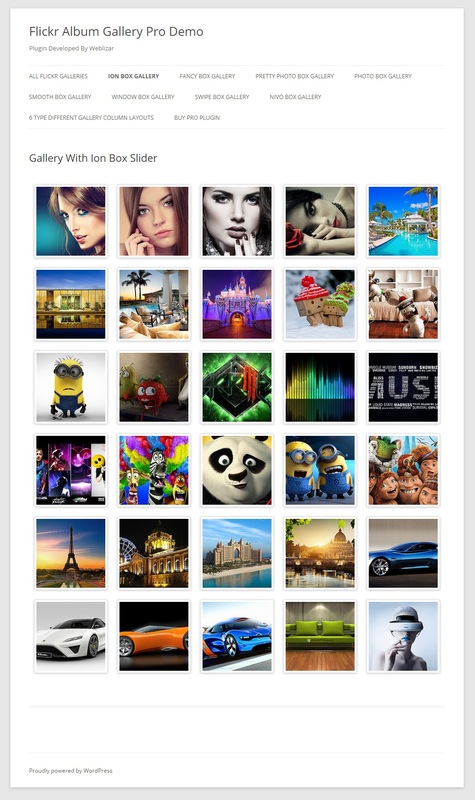 A) Click on Add New Gallery link into Flickr Album Gallery Pro plugin menu. B) Provide a Title to the album gallery. C) Enter your Flickr Account API Key, you can get your a key through “Get Your API Key” link. D) Now enter your Flickr Album ID which you want to display in this album gallery, you can also get your Flickr Album ID through “Get Your Album ID” link. E) This is your setting section for current gallery, set setting suits to you. We will explain each in details Flickr Album Gallery Settings. F) Now click on Publish button to publish your Flickr Album Gallery. G) Copy shorcode [FAGP id=xxxx], this will be use later to display your Flickr Album Gallery in any Page / Post. D) This step is optional and depend on your theme. 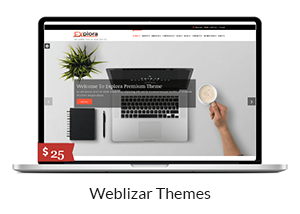 If your theme allows you to select available template like Default, Full Width etc then you can use desired template for your gallery. E) Now click on Publish button to display your Flickr Album Gallery on created page. Now check created Flickr Album Gallery Preview through View Page button below title. Follow the same steps as you followed in Step 3. Show Gallery Title : Through this setting you can show/hide the Flickr Album Gallery Title on published page / post. Light Box Styles : This setting allow to select different 8 types of light box for individual gallery. Each light box has different style to display and represent your album photos. 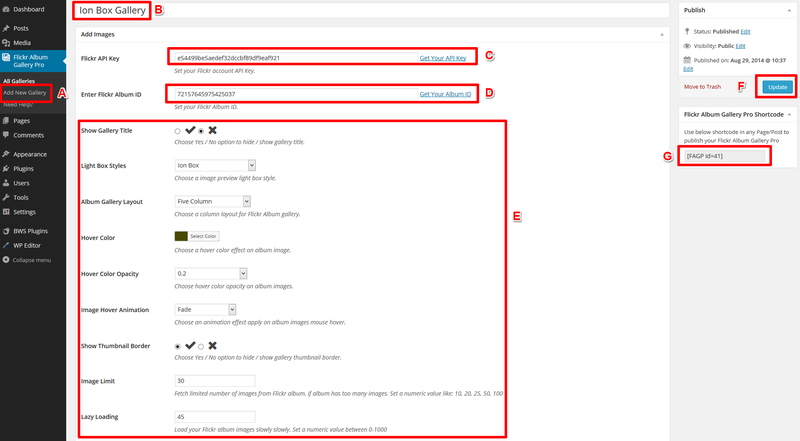 Album Gallery Layout : This setting allow to set 6 types of gallery layout. If you have large number of photos in your Flickr Album use max column layout in gallery. Hover Color : Using this setting you can choose a hover color effect on album image. Hover Color Opacity : This setting control the Hover Color transparency on album image hover. 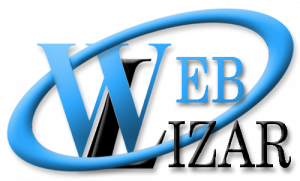 Image Hover Animation : Through this setting you can apply different 8 types on animation effect on album image mouse hover. Show Thumbnail Border : You can enable or disable album Image border using this setting. Image Limit : If your album has large number of image then you can limit no of loading images using this settings. Lazy Loading : This setting load your Flickr album images slowly slowly. Set a numeric value between 0-1000.